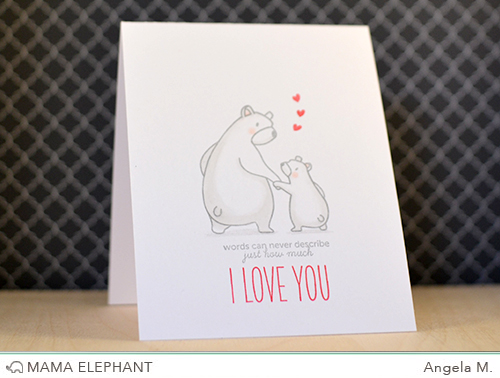 Today we will start our February introductions with Bear Hugs. We really wanted a heartwarming set for those who we look up to and to those that has helped us along the way in life. 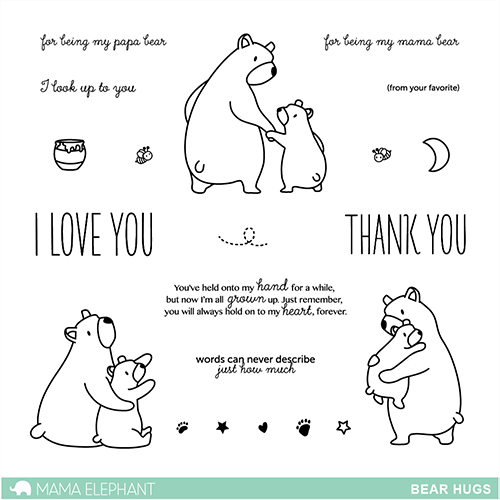 Whether it is for a mother, a father, a grandparent or a teacher, this set is great for sending our gratitude and love. Kryssi made this beautiful card with watercolors. Isn't it dreamy? Angela made a super quick simple card with a big message. Thanks for joining us today! Come back tomorrow for another introduction! HOLY MOLY! This is INCREDIBLE! Way too perfect, and a MUST have for things I can make both my amazing parents and 2 step-parents. PERFECT!! This set is great! I will be ordering it. Wow! They are so sweet! Oh my gosh!! This stamp set is so cute!! The images are adorable but the sentiments really made me go "Aw!" Ooohhh lala! Love it! Must have!! So sweet the little bears! Oh my, such a sweet set. Gorgeous stamp set!!! A must have stamp set for me! !! Just lovely! Can't wait to order. .. just the cutest :) .. Very sweet little stamp set. Oh my goodness, this set is just too cute! You guys are amazing! These images are totally precious! Beautiful cards and such a great set!! Such a sweet stamp and die set. I love the bears they look like a child's story book so very cute. Those cards are wonderful. is so cute and sweet! 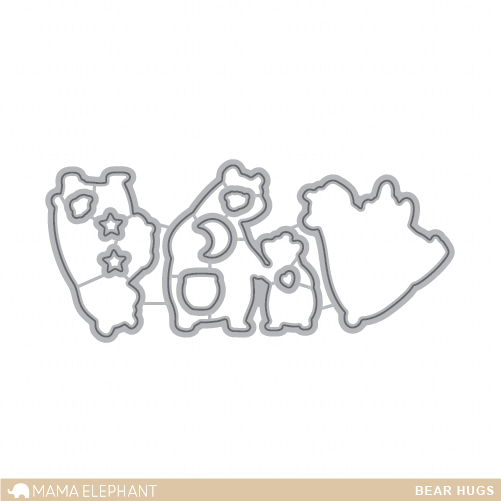 I love this set because the is not noticeable gender on the bears, so I can use it for mom dad, girl or boy. I love it! And it remands me of my boy boy and me! So cute, I can't stand it. Nice job ladies! So sweet I just love it! I can't believe how much I love the bears. I am a camper, and love real bears--and these are extra cute!